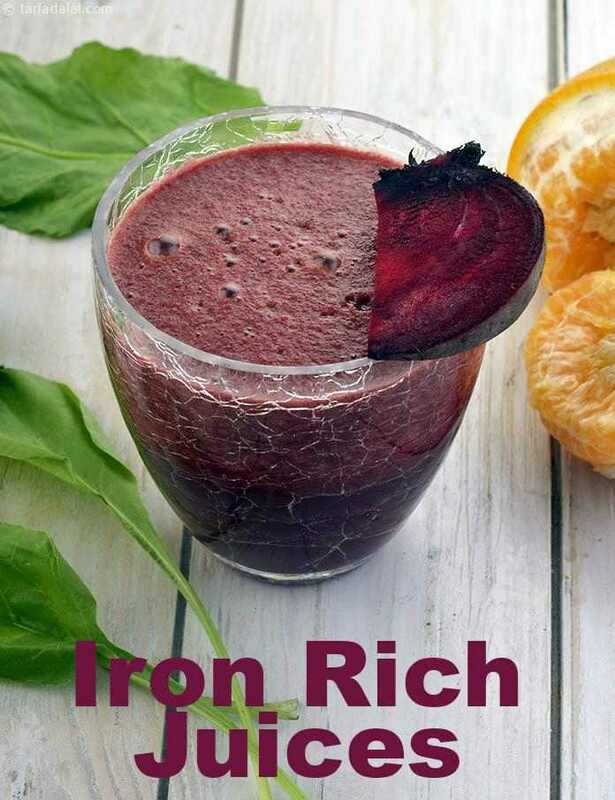 A good way to top up your iron sources is to have Iron Rich Juices for breakfast or even better to have as a healthy High Iron Juices as a fruit snack through the day. Carry your juice to work or send it to school for your kids. While vegetables like spinach can be used to make starters, subzis and rotis, it tastes great when paired with other veggies to make a glass of healthy juice rich in iron. Similarly fruits like pineapple and watermelon tastes good as a part of salads, but they can be used to make equally tempting iron brimming juices. Combine spinach with beet and orange to whip up Iron Relish, or use pineapple in combination with fresh flavours of celery or coriander to make Pineapple and Coriander Juice or Pineapple Celery Juice. The water-filled watermelon has its own charm… You can just blend it in a mixer after deseeding well to obtain its juice or if you want to try something new and interesting you can turn your head towards Watermelon Slush and Watermelon Guave Juice. Whether you are looking for a healthy glass of juice for breakfast or one to quench your thirst in the evening, the juices in this section are perfect for any time of the day.